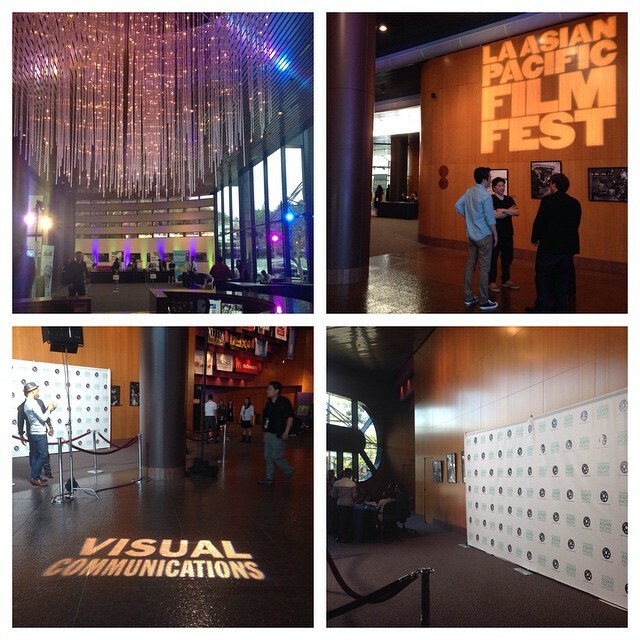 May 1, 2015 (Los Angeles, CA) The 2015 Los Angeles Asian Pacific Film Festival (LAAPFF) produced by Visual Communications celebrated it’s closing night of their 31st edition on Thursday night with a filmmaker awards ceremony for the competition films, and the LA premiere screening of the award winning MARGARITA, WITH A STRAW directed by Shonali Bose. Los Angeles based director Dax Phelan was awarded the Grand Jury Prize for Best Narrative Feature for his feature debut JASMINE. The festival’s Best Director award was given to LAAPFF alumni Jennifer Phang for her film ADVANTAGEOUS. Both JASMINE and ADVANTAGEOUS were among multiple award winners. JASMINE was recognized by 5 awards; ADVANTAGEOUS took home 4 awards; and MISS INDIA AMERICA was honored with 2 prizes. In addition, the narrative jury awarded actress/writer Jacqueline Kim for her work as the lead actress and co-writer of ADVANTAGEOUS with the special inaugural Linda Mabalot Renaissance Award. This award recognizes a multi talented artist who exemplifies the spirit and fierceness of the late executive director of the LAAPFF and Visual Communications, Linda Mabalot. Mabalot died in 2003 just after the festival ended. In the documentary competition, directors Samantha Futerman and Ryan Miyamoto won the Grand Jury Prize for the film TWINSTERS. The film tells the real life story of co-director Futerman finding her twin sister on social media by accident. Futerman and her twin sister were separated in Korea when they were adopted by different families – one in the US and the other in Europe. Best Documentary Director award was given to Jim Choi for CHANGING SEASON; Best Cinematographer prize was bestowed on Patrick McLaughlin for his work on EVERYTHING WILL BE; and Best Editing went to Sara Newens and Summers Henderson for TOP SPIN. A special jury prize was awarded to Kimberlee Bassford for WINNING GIRL. Attendance was up with many sold out shows this year and audiences really responding to the films and stories. All of the 32 feature films were eligible for Audience Award. This was divided into the fiction and documentary categories. THE KILLING FIELDS OF DR. HAING S. NGOR from award winning filmmaker Arthur Dong took home the Audience Award in the documentary arena; and HOW TO WIN AT CHECKERS (EVERY TIME) by Josh Kim wowed the audiences and won the Audience Award for Best Fiction Feature. 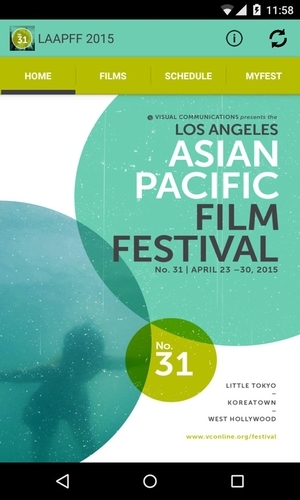 The 2015 Los Angeles Asian Pacific Film Festival kicked off on April 23, 2015 for eight days starting with the world premiere of EVERYTHING BEFORE US – a film by Wesley Chan and Philip Wang. Since opening night, LAAPFF has screened all over Los Angeles from Little Tokyo to Koreatown to Downtown LA to West Hollywood. Little Show called Blogtalk Celebrating Milestone! Wow! It’s been over a year since started this little show called Blogtalk. First and foremost, thanking God for his guidance and blessings. Met wonderful and beautiful people who made my show possible and of course my partner in crime Mariebeth who endlessly supporting throughout the years from providing hi-tech gadgets to moral support. Never imagine had this chance of a lifetime to give platform or medium to inspire others even empowering via podcasting and blogging. Just got back from the Philippines and had a blast out there from spending quality time with parents to visiting beautiful places like Vigan (Sur) and Pagudpud (Norte) both in Ilocos, San Pablo City in Laguna, Villasis in Pangasinan where I delivered my speech as guest of honor/ speaker and that was the most surreal experienced ever. 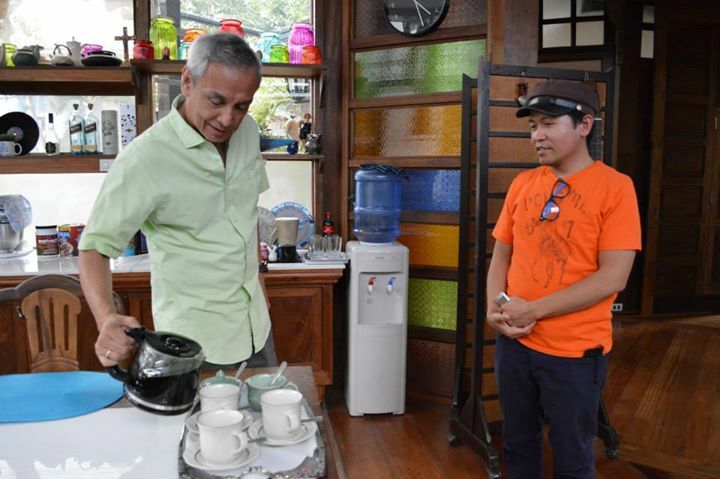 After two weeks of vacation, here comes the interviews, being invited by the legendary Jim Paredes at his fabulous house was real treat indeed. 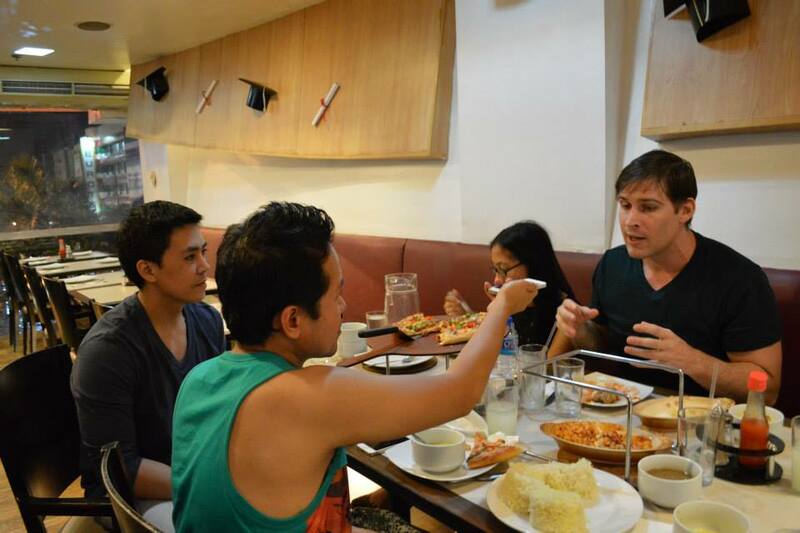 He was so welcoming and hospitable, which is the known character of Filipino people. 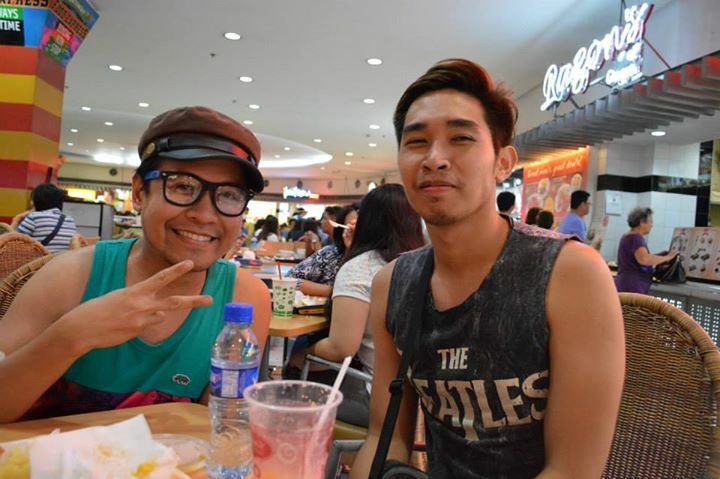 Early eve, hanging out with Travis Kraft and Lance Raymundo at Gateway in Cubao, a beautiful place to eat and unwind from busy schedule. This meeting called it, where Iron Man meets the Superman they were both accommodating and answered all the questions. By the way, my assistant executive was there too her name is Jo “Rockon” I could not have done it without her assistance along with Benedict (Red Band Drummer) which I’m currently mentoring. Then after, we went and see the show of Mitoy (The Voice of the Philippines Season 1 Winner) his very good no wonder he won. 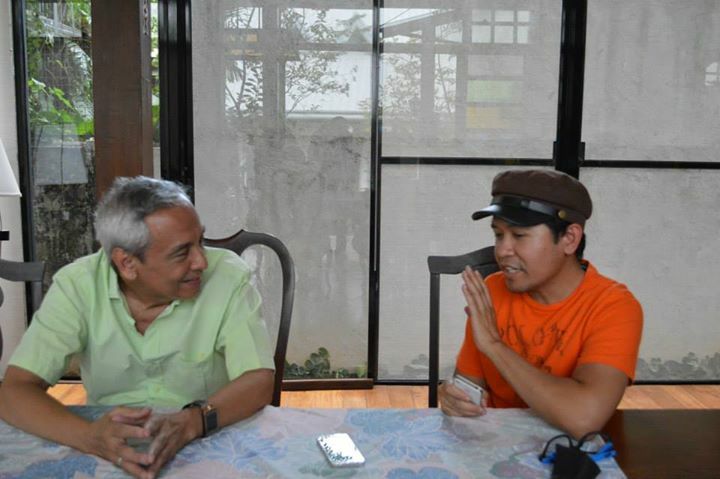 Mitoy gave me a chance to interview him for 5 minutes, he was accommodating and down-to-earth. I had a long day, guess what? It’s not done yet because Jo wanting me to visit Papa Jack the DJ Superstar of the Philippines. 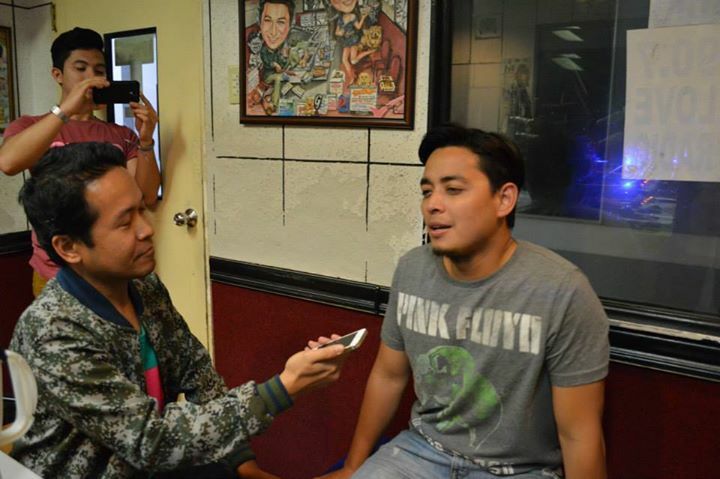 We arrived at Love Radio along Roxas Boulevard in Manila; the place was very quiet and spacious. Papa Jack was very friendly and gave me a chance to ask him questions, which is really cool and getting to know him up close and personal. 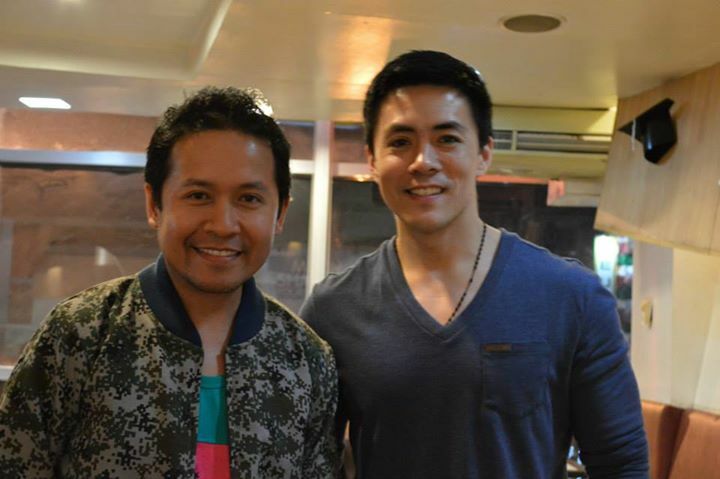 The next day, meeting with Nino Alejandro was fun and cool because he was so gracious to offer me something at a known coffee shop at Resort World in Manila. The interview went well and of course his show was mind-blowing, he was such an excellent performer and vocalist. To be Continued……. It’s Showtime and Sunday All Star plus Bato Springs! 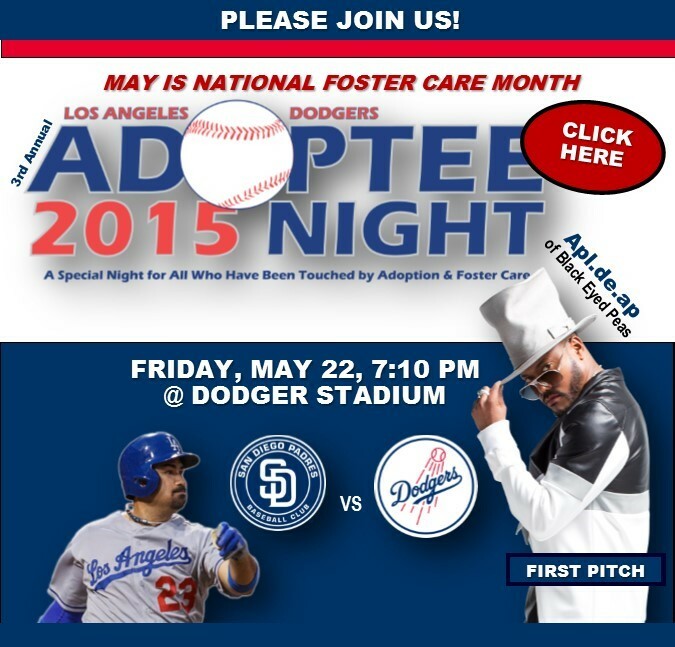 In recognition of National Foster Care Month and celebration of its 4th Year Anniversary, Mixed Roots Foundation will host its 3rd annual ‘Adoptee Night’ with the LA Dodgers as they take on the San Diego Padres on Friday, May 22, 2015 at 7:10 p.m.at Dodger Stadium. Apl.de.ap, one of the founding members of the Black Eyed Peas and founder of Apl.de.ap Foundation was born in the Philippines and was later adopted to the United States at the age of 14 will throw out the first pitch. 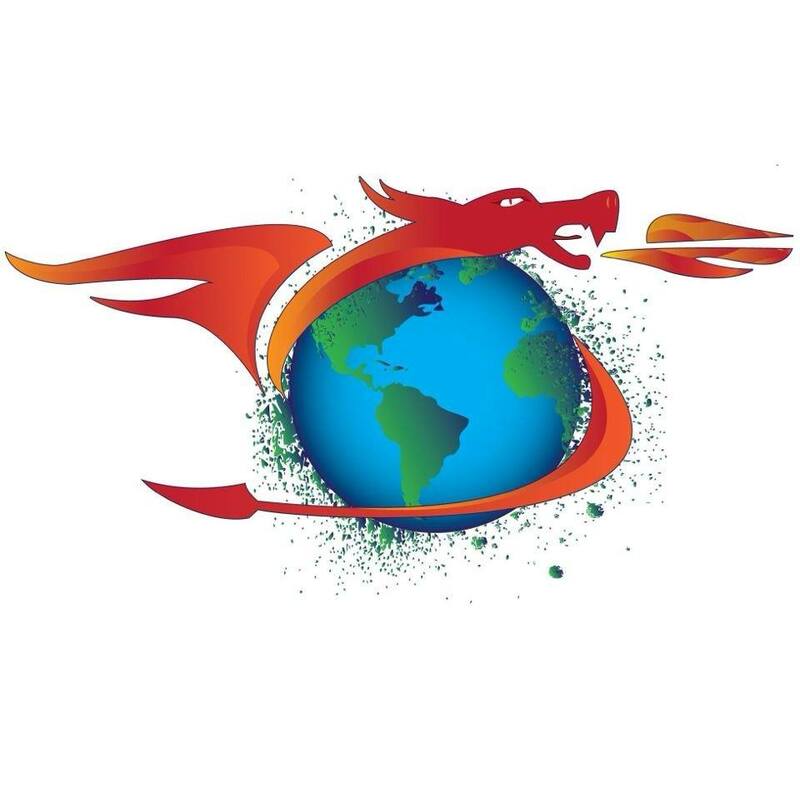 In addition, Mixed Roots Foundation will be partnering with the Apl.de.ap Foundation and The Los Angeles County Department of Children and Family Services (DCFS) to help recruit adoptees, foster youth and their families to participate in the special event. Mixed Roots Foundation will host a VIP pregame meet & greet at their community booth where fans will have the opportunity to meet Apl as well as learn more about important post adoption resources that are available for adoptees and their families. Adoptee Night ticket holders will also receive a signature Adoptee Night rally towel. Tickets cost $25. 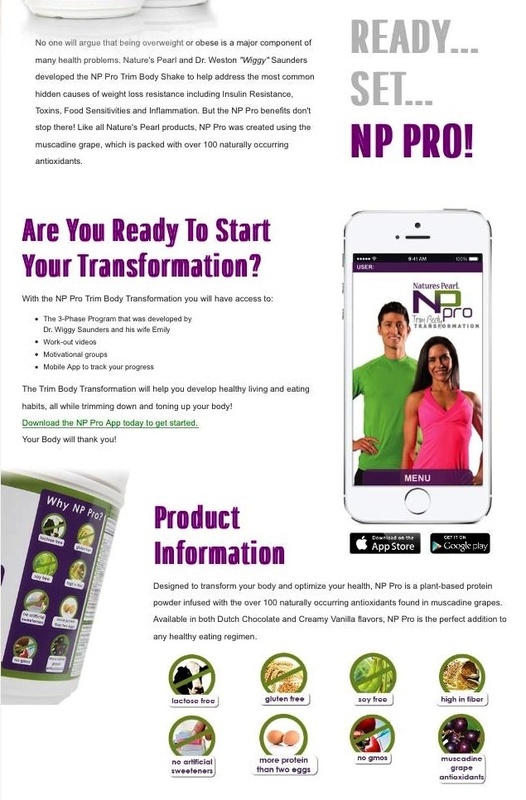 To become a strategic partner or sponsor, please contact 213.725.8054 or email sponsor(at)mixedrootsfoundation(dot)org. To donate or sponsor a kid, visit http://www.crowdrise.com/adopteeday-adopteenight2015. To volunteer or learn more about the event, please email events(at)mixedrootsfoundation(dot)org or visit http://www.mixedrootsfoundation.org for more information. Mixed Roots Foundation is a 501(c)(3) nonprofit organization based in Los Angeles, CA and serves as the first and only national / global multicultural foundation for adoptees and their families representative of the international, domestic, and foster care adoption experience and leverages philanthropy and grassroots fundraising to support post-adoption resources for adoptees and their families. For more info, visit http://www.mixedrootsfoundation.org, LIKE Mixed Roots Foundation on Facebook or Follow on Twitter @mixedroots. The eldest of seven siblings, Allan Pineda better known as Apl.de.ap grew up in Angeles City, Pampanga, Philippines. He worked in the farm with his grandfather and sold the crops at the open market. Coming from a poor family, he knew early on that going to school was his long-term ticket to a better life. Clinically blind, the young Apl managed to get treatment for his eyes in the U.S. through the Pearl S. Buck Foundation with his sponsor, Joe Ben Hudgens, who eventually adopted Apl. At the age of 14 years old, Apl moved to LA where Hudgens fostered the importance of education that would lead to achieving his dreams. Apl became a rapper, record producer, and member of the multi-Grammy award winning group the Black Eyed Peas. Drawing from his own life experiences and putting action behind his words, he established the Apl.de.ap Foundation. As Apl.de.ap became financially stable and one of the most famous Filipinos in the world, he dedicates himself by giving back to his country and youth everywhere through his Apl.de.ap Foundation which focuses on education, technology, helping vision-challenged newborns and art-therapy. 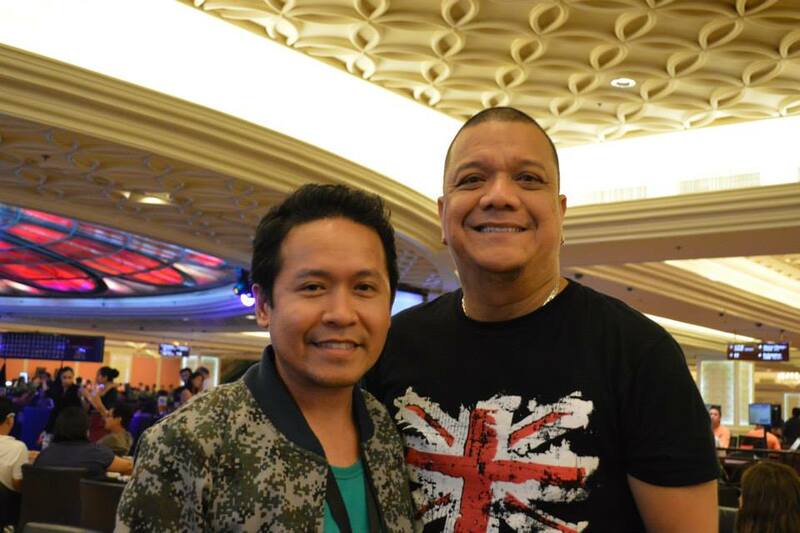 Apl has not shied away from acknowledging his Filipino roots and continues to embrace his heritage, even in his work. 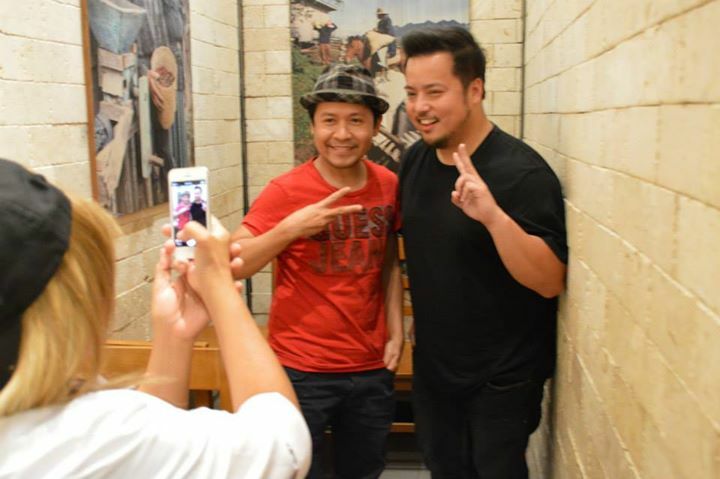 From his humble beginnings to his extreme fame he still retains the Filipino hospitality and “bayanihan” spirit. His humility, generosity, sense of humor and graciousness to his fans remains a core part of who he is. For more info, visit http://www.apldeapfoundation.org and also http://www.forfilipinochildren.com or LIKE Apl.de.ap Foundation on Facebook.